At Paws 4 Walking, we offer an initial free, no obligation, consultation visit. We feel it is important to introduce ourselves to both you and your dog(s), to give you confidence that they are in the best possible hands. During the visit, we can discuss your dog(s) specific needs and routines. The breed, age and temperament of your dog are all important factors that help us recommend the right walks and social group. We will also use this time to answer any questions you may have regarding our service, discuss key collection and storage, for your peace of mind, and take you through our Terms and Conditions. Why use our Dog Walking Service? Our hand picked team are all experienced dog owners past or present and have a passion for the work that they do. Dog walking for one hour Rain, snow or shine your dog will be walked and returned with clean paws! Rest assured, if they poop we will scoop! We use a number of vans fitted with secure TransK9 cages to ensure maximum safety and comfort for your dog. We may also use private vehicles which are fitted with suitable safety devices to meet your dogs needs. 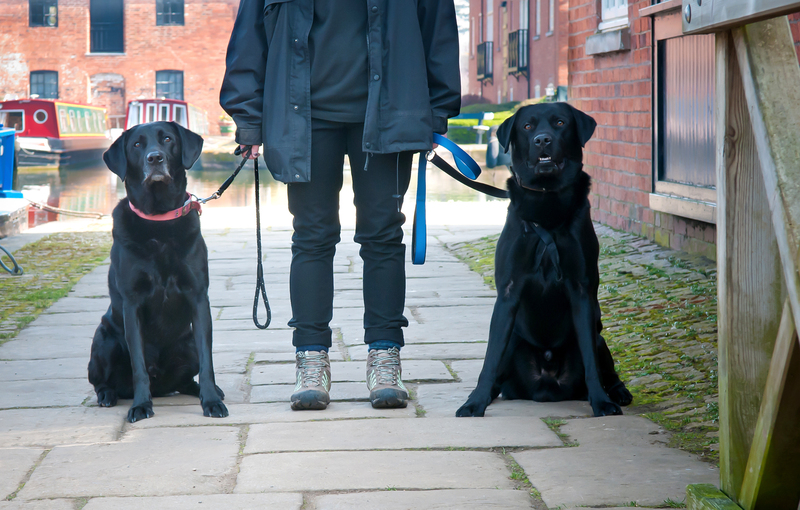 Who would benefit from our Dog Walking Service? If you are away or at work during the day, to reduce stress and anxiety we will ensure your dog(s) has a routine to which they are accustomed. If you are away we are happy to bring in your mail and newspapers, take out the rubbish, water plants indoors/outdoors etc, please just ask! If, however, you book five or more days per week, Monday – Friday, and you live within a 5 miles radius of Market Harborough, you will attract a loyalty discount and the price will be reduced to £10 per hour, per visit. To continue to give great value for money and maintain our standards, our visit times on dog walks will continue to be a full hour per walk with no additional charges.